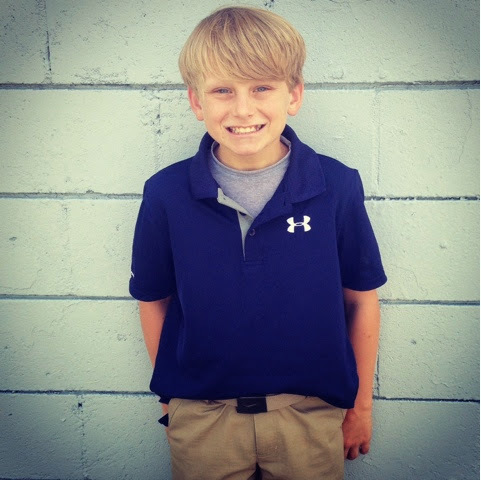 Can't believe this handsome dude is off to middle school where did the time go?!?! It's the first day of school, it's the first day of school... Everyone was all smiles and dressed and ready for their first day of school! 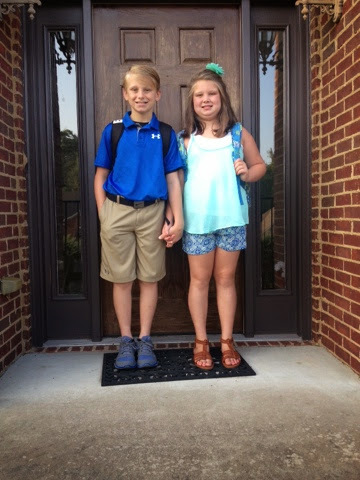 Jackson is starting 6th grade at the middle school and Brylee is in 4th grade!!! Growing up so fast!!! 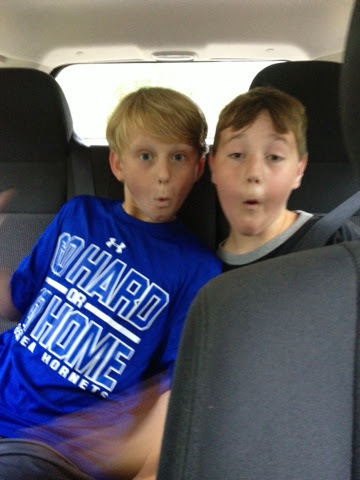 Tonight the middle school JP goes to had a Friday fun night called TNO which stands for Teen Night Out. It was a fun little night of war ball, music, food & fun. It was a drop off and pick up kind of thing. I picked up his friend Brandon and dropped them both off. He said he had fun! Brylee had originally decided not to cheer. I am not going to lie I was sad but I was not going to force her to do it. Then she decided this summer she was sad she did not sign up. Thankfully her uniform still fit and it was not too late to sign up. I told her nothing like signing up on Thursday for cheer and starting on Saturday. After watching her at camp I would tell she was right back in her element. 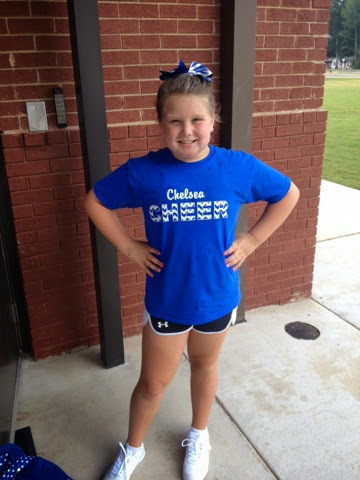 Brylee had cheer camp on Sunday too & they could try out for UCA All American Cheer that day. She said she wanted to try out and she practiced and practiced all night Saturday night and Sunday before camp. She was so nervous bless her heart she had never tried out for anything before. After camp they had a show off for their families and then announced the All American Cheerleaders and game some other awards too. She was so excited when they called her name to get her medal and that she made the All American Squad. She was invited to go cheer in the Thanksgiving Day Parade in Disney World & The Capital One Bowl in Orlando as well. She is so excited to be going to Disney to cheer in the parade. We were so proud of her too. 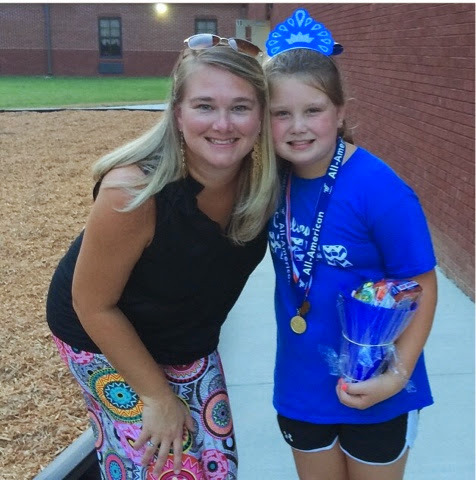 She also won "best cheerleader" from camp chosen by the UCA cheerleaders which is where the crown and megaphone full of surprises came from. 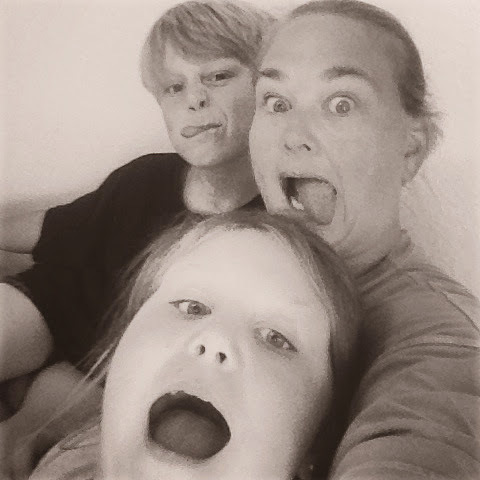 The kids said "hey mom let's take a silly selfie" so they is exactly what we did!!! Our fall "crazy schedule" has officially started! 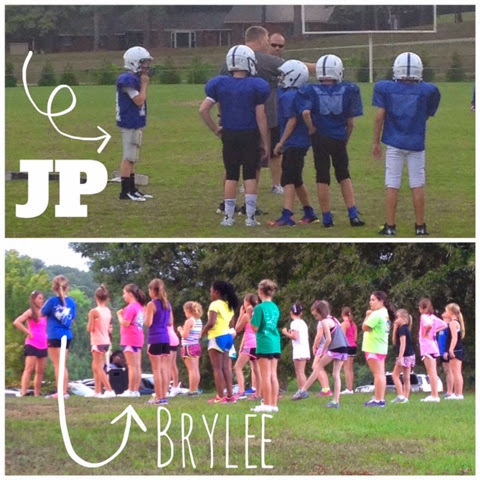 Brylee and Jackson have practice the same nights most of the time at two different places. Some of their games over lap too. And then when you add a football coach daddy's schedule in the mix... It's a hot mess!!! 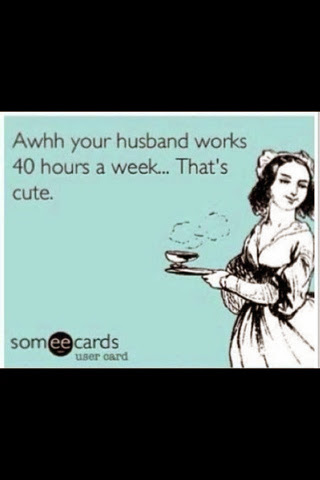 I saw this e card on Facebook from a fellow coaches wife and I laughed and thought how true! Poor RP is gone for 12 to 15 hours most days during football season.